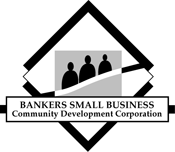 San Diego Bankers Small Business CDC is dedicated to providing Access to Capital to minority and women owned small businesses and entrepreneurs and to those businesses located in low-moderate income communities. The mission of the San Luis Obispo County Housing Trust Fund is to increase the supply of affordable housing for very low, and moderate income residents in San Luis Obispo County, including households with special needs. SC Community Loan Fund provides financing for the production and preservation of workforce and affordable housing, and actively encourages policies that reduce barriers to such production. Working with both nonprofit and for profit developers, the Trust encourages and funds the construction and rehabilitation of environmentally sustainable homeownership and rental housing. The Trust finances projects in Charleston, Berkeley, Dorchester and Georgetown counties. Shared Capital Cooperative is a national CDFI loan fund that connects co-ops and capital to build economic democracy. Working with capital invested by the cooperative sector and its allies, we provide financing for the expansion and startup of cooperatively-owned businesses and housing throughout the United States. As a cooperative ourselves, we understand cooperative capital needs and have financed more than 800 loans to cooperatives in the past 37 years. Increasing the human potential of our community by providing opportunities for people in need. We specialize in creating residential and commercial community impacts for those of low to moderate income. The non-profit Solar and Energy Loan Fund (SELF) is a 501(c)(3) and a certified Community Development Financial Institution (CDFI) that focuses on improving the overall quality of life of underserved populations in Florida, through home energy efficiency improvements and cost-effective renewable energy alternatives. SELF has been operational over 2 years and has completed 810 energy audits and closed 212 loans totaling $1.845 M. More than 70% of our loan activity has been in CDFI investment areas and 40% of our clients are women. Additionally, SELF clients has reduced carbon emissions by 950 metric tons. SELF expanded operations in February 2013.